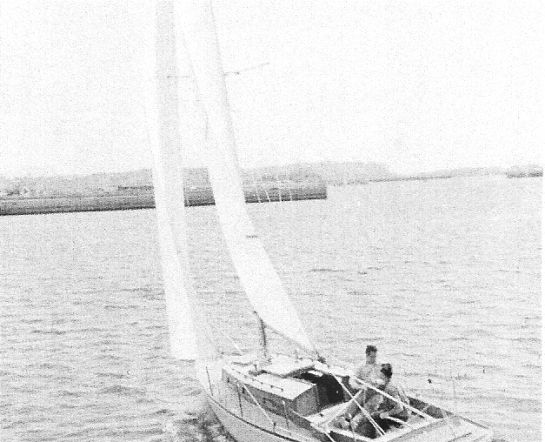 John Shumaker, an aeronautical engineer working in southern California, bought a bare hull from O'Day in 1964, and using plans he had purchased from Sparkman & Stephens for the Mermaid 24, built a wood boat on that hull. It came out so well, he did it again, and again, and again. Olin Stephens talked to him about the possibility of him becoming the Dolphin builder on the west coast, and the rest is history. 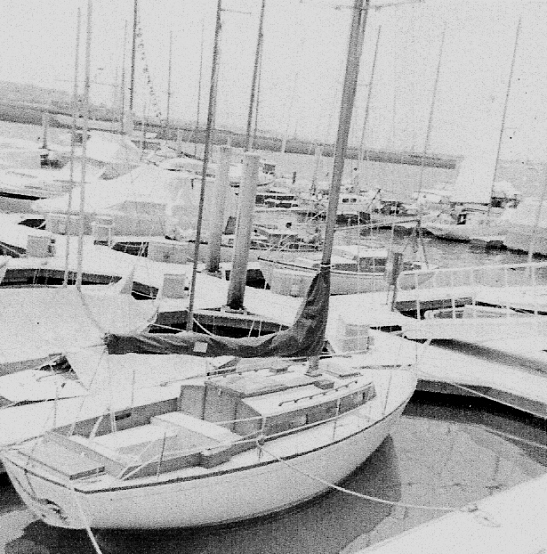 John Shumaker founded Yankee Yachts and went on to build 175 Dolphins. We hope to find out more about how this all really happened. For more on Yankee Yachts click here. Notice the main sheet bridle? And, notice the port light at the front. This 'feature" was eliminated in later all fiberglass Yankees. John told your webmaster that hull #71 was shipped without the bolt on keel and with a centerboard and rudder. 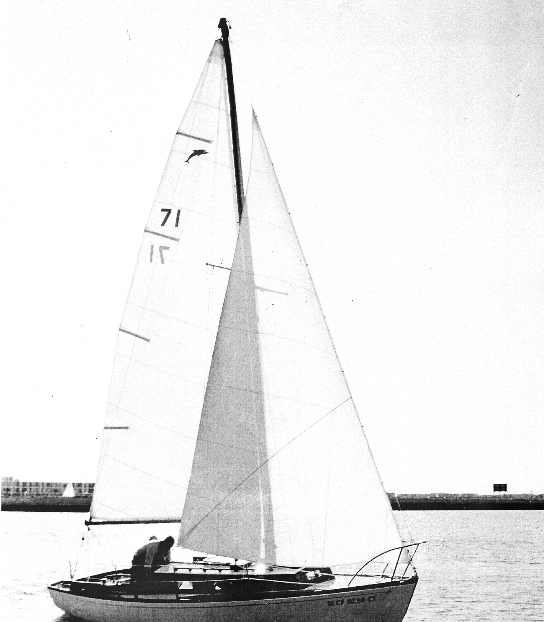 The centerboard was an iron plate wrapped in fiberglass. John fabricated a weldment mold for the keel . Approaching the finish of the Malibu Race, ocean racing, 23 miles, CCA. Yankee galley, port side - Isn't this particular oil lamp standard equipment on Dolphins? Also, Marionette has the same port light fastening system' Notice the 'dry sink' inboard of the wet sink. 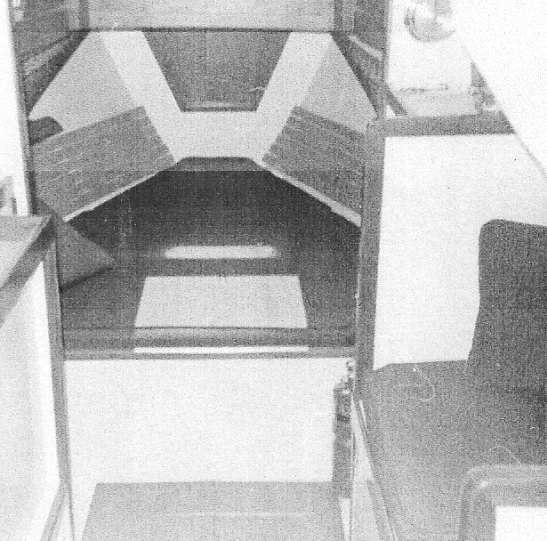 Yankee V-berth, note the slats on the hull sides and locker forward (anchor rode? ); hanging locker? 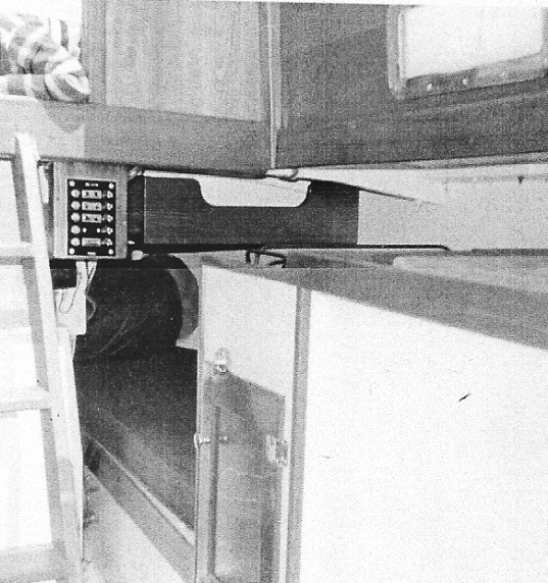 with shelf above forward of starboard settee. Maybe the head was below this settee? 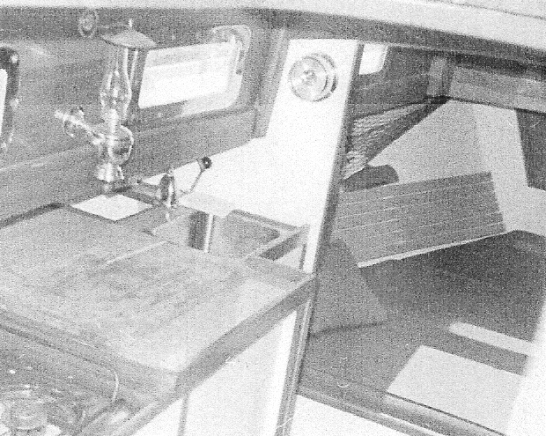 Yankee interior, port side aft - interesting slide out drawer above quarterberth; notice sea latch for storage compartment door. I'll bet that, over time, that electrical panel would wish it were in a drier, less vulnerable location. So where is Yankee today? She was recently found sailing in western Long Island Sound - newly refurbished. 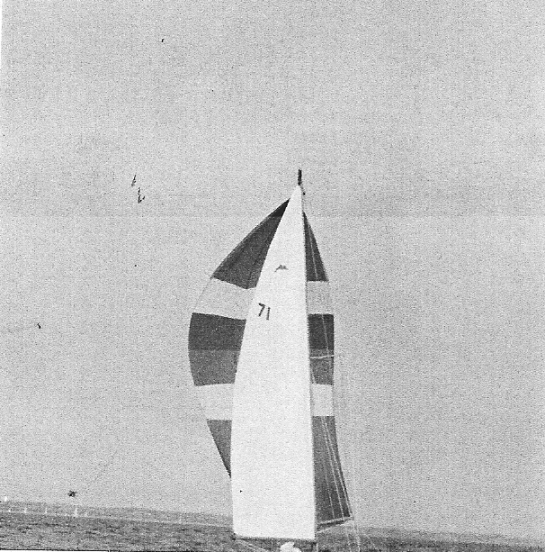 She is Arion shown below sporting her green hull, new wood decks and with her original spruce mast. She is owned by Charlie Drew. Click here to go to her.